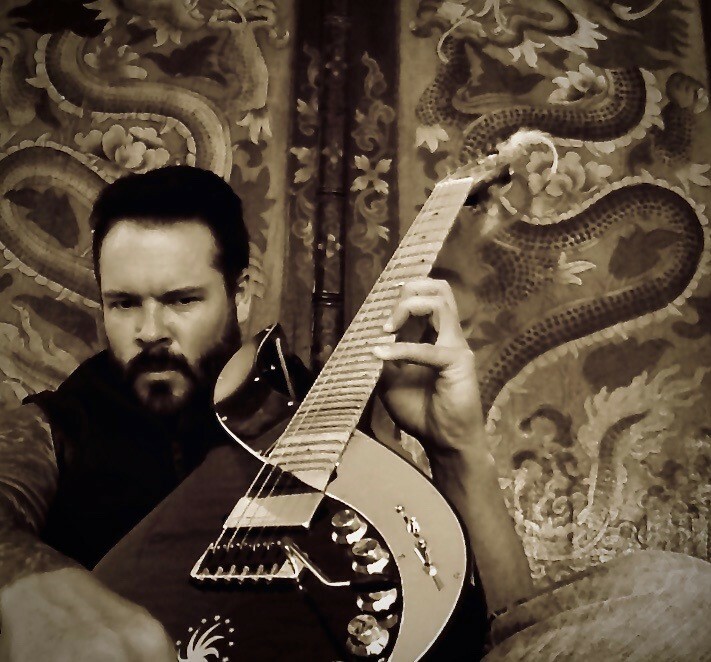 This is Matt Schulze: actor and musician. I was first introduced to Uli Jon Roth’s music and his incredible Sky Guitar through Jason Becker. Jason and I became friends and we spent a lot of time together. Over the course of ten years or so, Jason and I must have listened to every CD or download he owned. And Uli was on constant rotation. Soaring passages full of majestic vibrato, free-flowing beautiful arpeggios, pure electric ecstasy. A few years later, Warren DeMartini and I became friends. Warren and I lived in the same neighborhood, and we would play together almost everyday. We would also sit and listen to music like Jason and I did. Ironically, Warren’s hero is Uli too! In 2011, Warren asked me if I wanted to have dinner with Uli and then watch them play at a nightclub on Sunset. One of the most magical times of my life. I was able to meet Uli, see him warmup at Warren’s, then explode through the amplifier at the venue. It was absolutely Breathtaking. After I got home I realized I must get a Sky Guitar. There was no other way to reach and play those fantastic higher notes. It took me a few more years to find one. But once I did, the door opened. A new ultra-creative world, and sounds that are hard to believe. 36 frets. Wow. It made me look and think differently. This guitar sounds like Uli! With the EQ and boost system, you can transform and tailor any amp to your desired sound. It can be crystal clear, to out of this world and back, very quickly. Beyond versatile. It only took me a few days to become accustomed with the instrument. A true Stradivarius. I have a plethora of guitars, and nothing ever comes close to the Sky Guitar. Uli named mine, “The Sky of Hendrix.” One of my son’s is named Hendrix. He was born on Jimi’s B-Day. I hope you enjoy your Sky Guitar as much as I do. I really don’t think there is a better made guitar in the world.